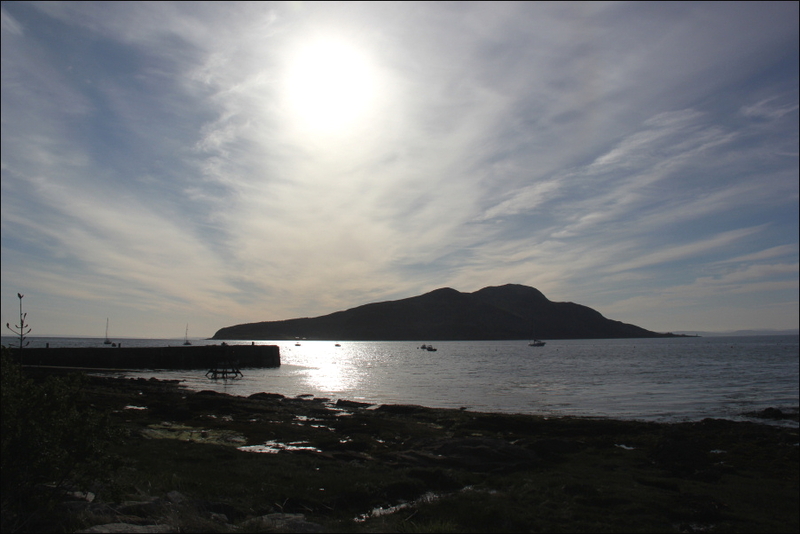 After spending a night based in Lochranza, we drove to Lamlash in order to catch the small ferry to the Holy Isle. 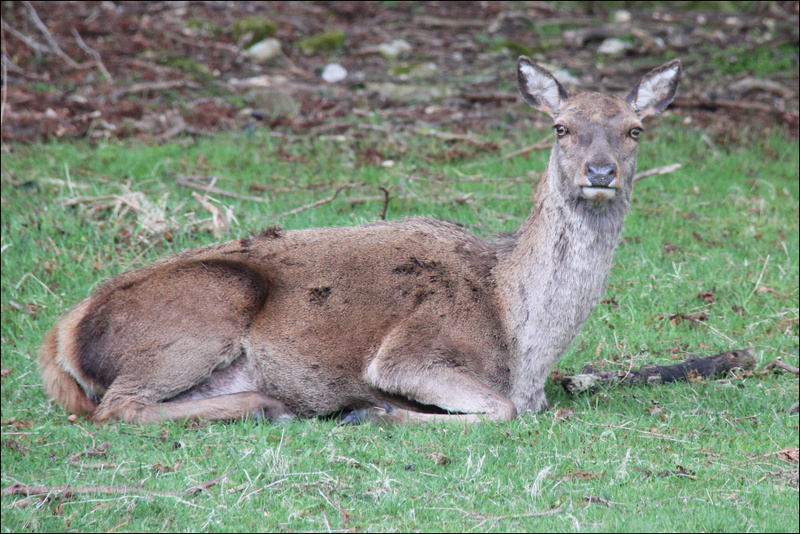 Prior to leaving Lochranza, I took some photos of some Red Deer. 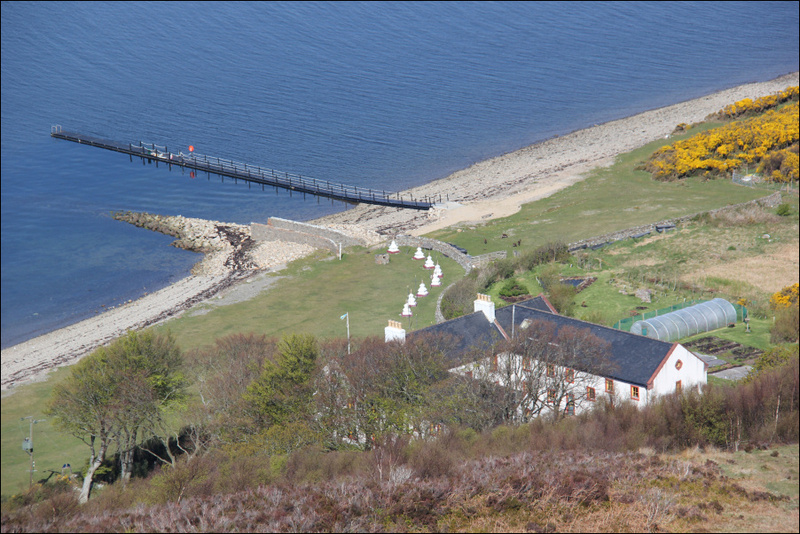 We arrived in Lamlash with just over an hour to spare as we wanted to be sure of a place on the first ferry. The weather was outstanding throughout the day. 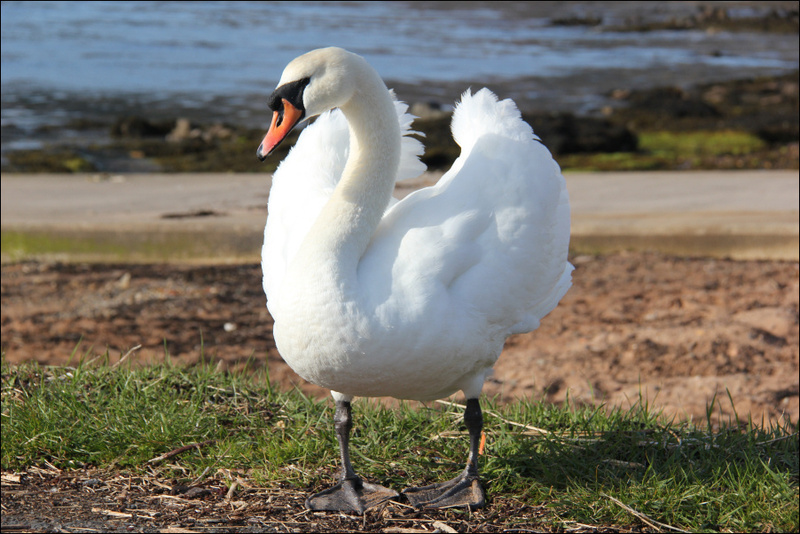 On reaching the Holy Isle ferry portakabin, I was delighted to see three Mute Swans and one goose standing just outside the portakabin. They didn't seem bothered by my presence, so I took the opportunity to take some close-up photos. 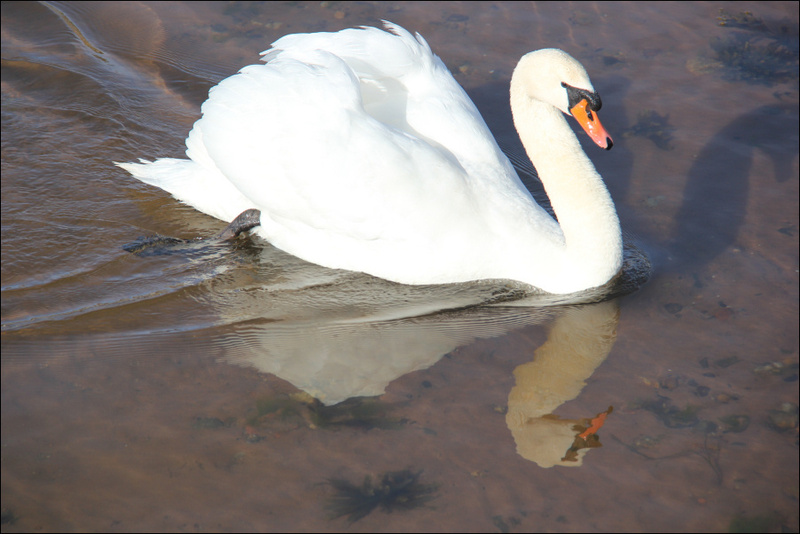 I think I got to within about 12" of one of the swans. One of the swans seemed to be the surrogate parent of the goose. The goose followed one of the swans everywhere it went and seemed to get upset when the swan swam too far away from it. What happened next was even more wonderful. 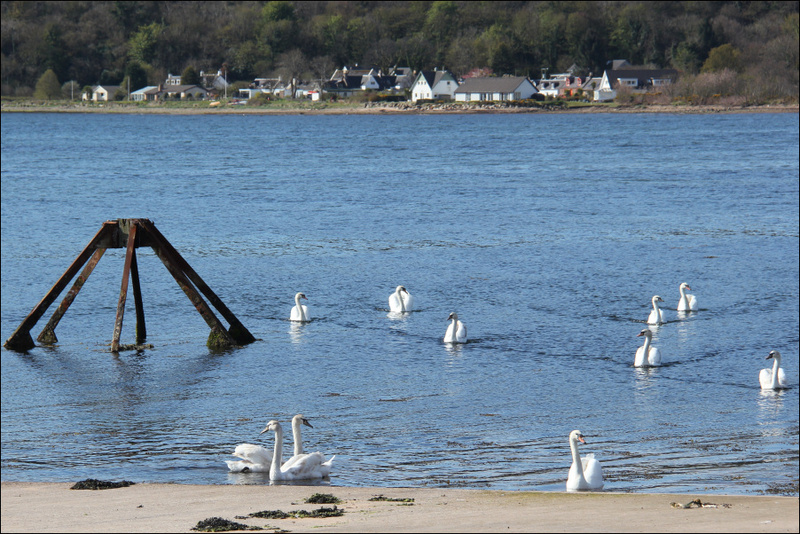 A further eleven Mute Swans swam to the jetty to make fourteen in total. 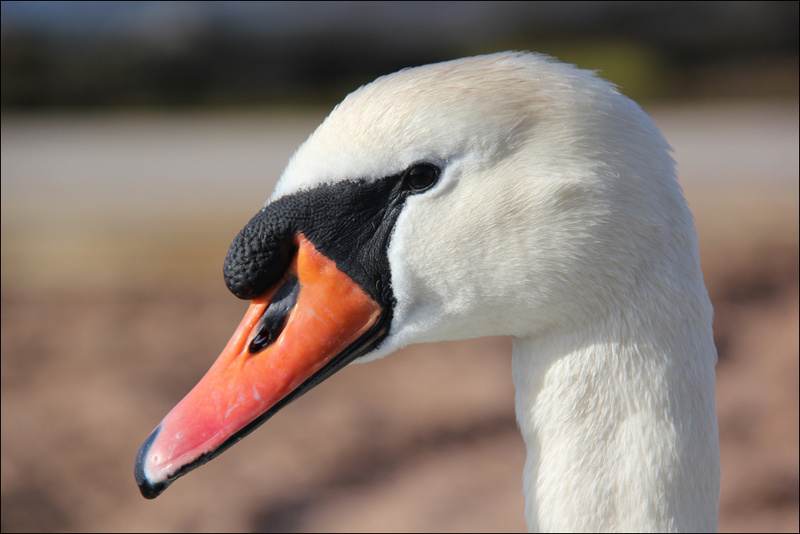 I have not seen so many Mute Swans in one place previously. 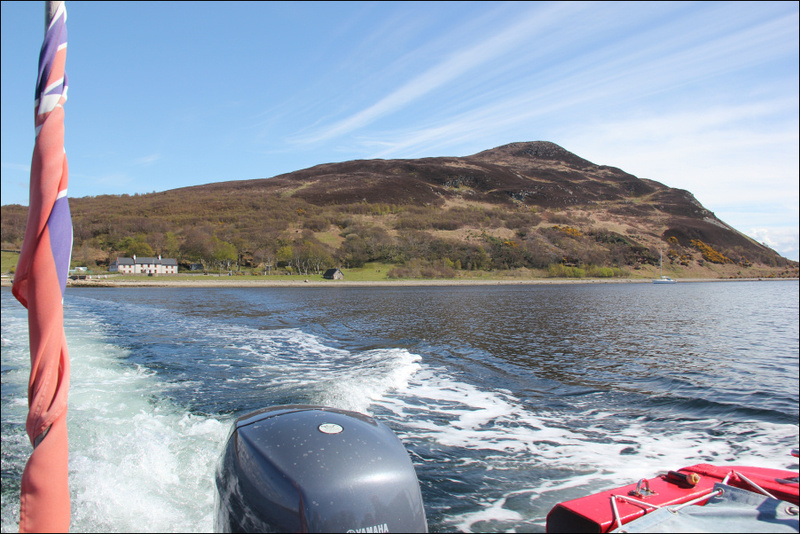 At around 10:10, we boarded the small ferry for the short crossing to Holy Isle. The return trip only costs £12. 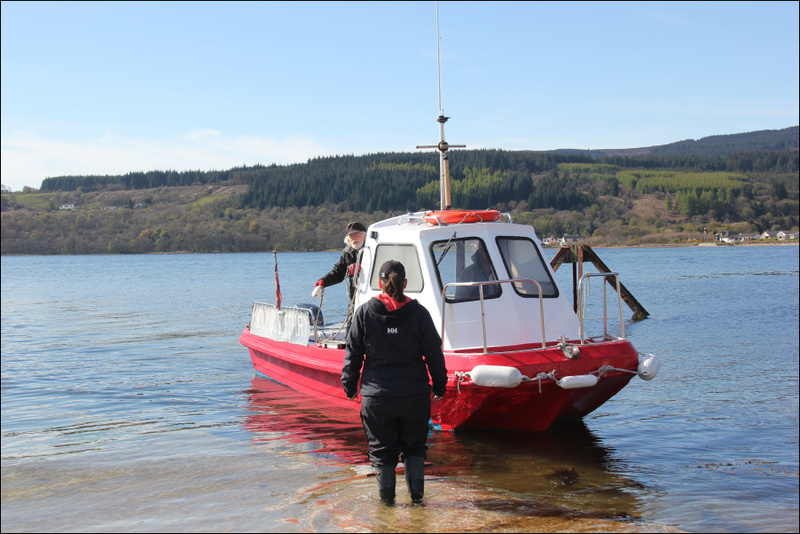 We chatted with the skipper whilst on board and were advised that there would be a ferry coming back at 14:00 and another at 15:00 but no more after that due to the tides. 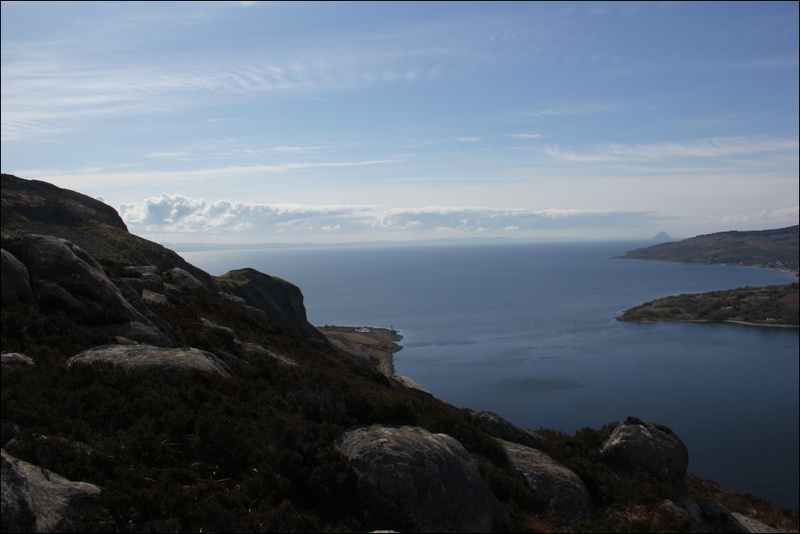 This would give us up to 4.5 hours to explore the island and of course ascend Mullach Mor. 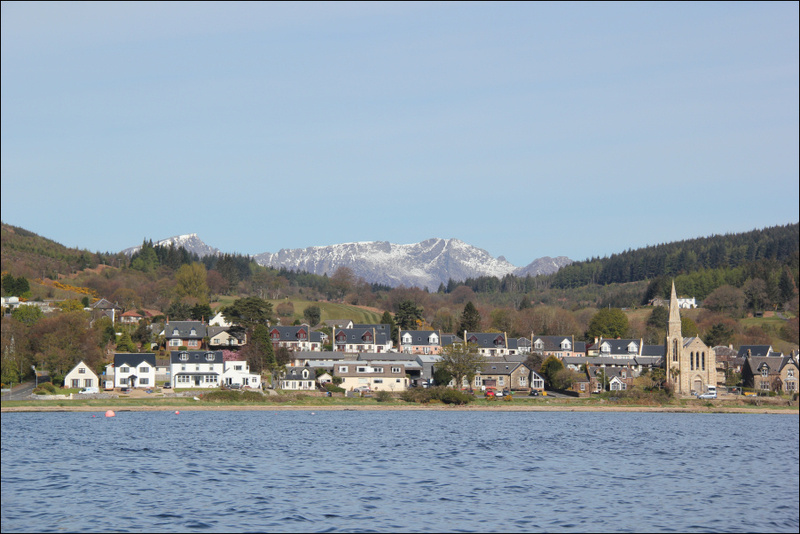 From the boat, the view back towards Lamlash looked almost Alpine. 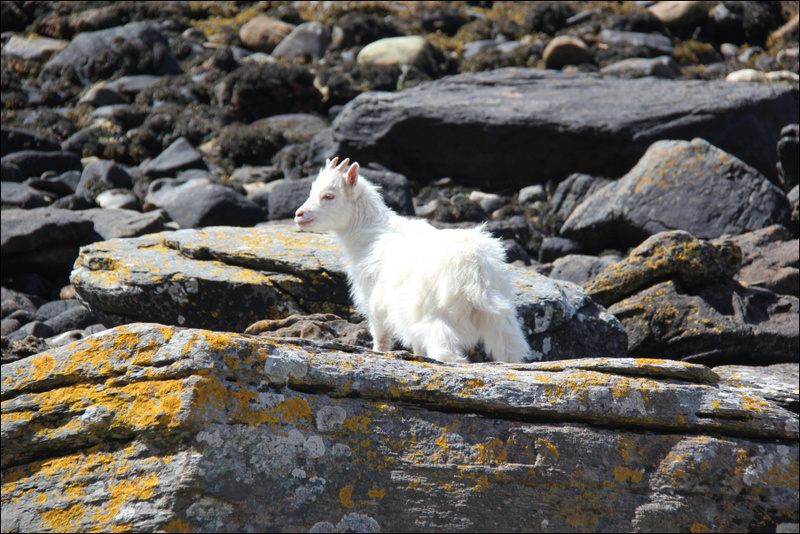 We arrived on Holy Isle by 10:30 and were met and greeted on the jetty by a Holy Isle resident from the Tibetan Retreat. 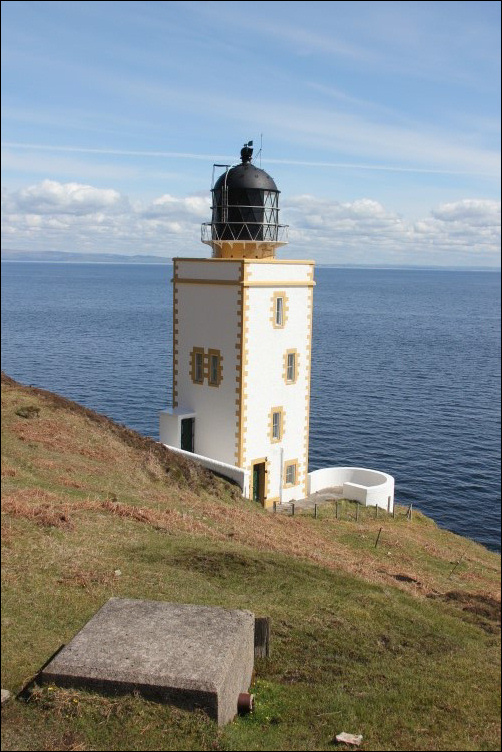 We were provided with lots of useful information about Mullach Mor and about things to see on the island including the lighthouses, a cave and Soay Sheep, Eriskay Ponies and wild goats. We were also offered the opportunity to have a cup of tea and a biscuit on our return from the hill. From the jetty, we made our way up a grassy field to the left of the Tibetan Retreat before following a small path up through the forest. The path is waymarked at every junction with little arrows pointing the way. For such a small remote hill, the track is fairly good. 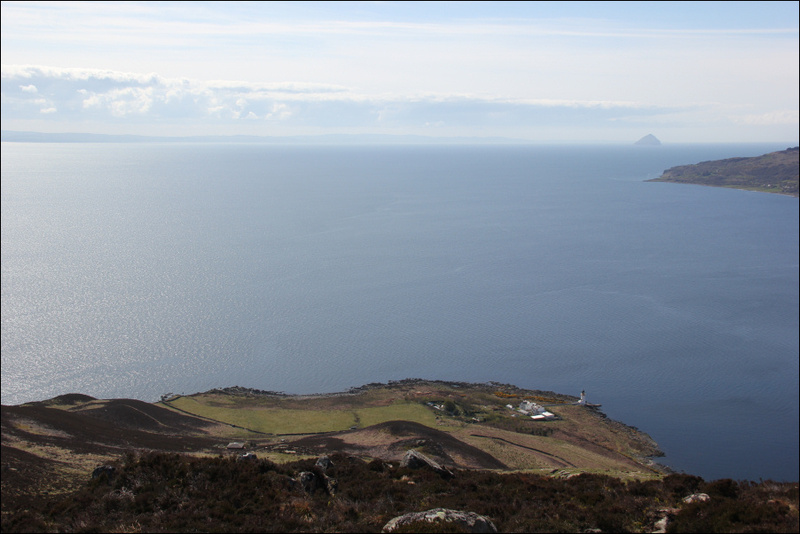 During the ascent, I stopped countless times to take photos looking back towards Arran. Seeing the stupas at the Tibetan Retreat reminded me of Ladakh (which is known as Little Tibet). 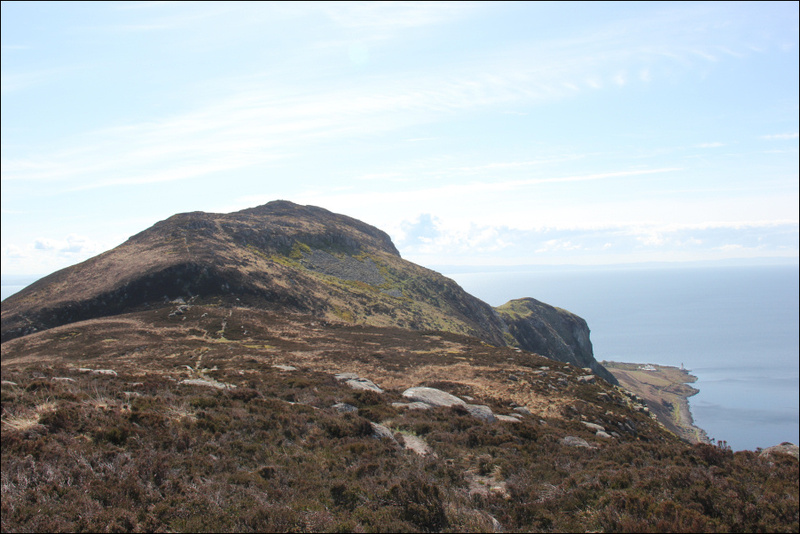 During the ascent of Mullach Beag, Ailsa Craig came into view. 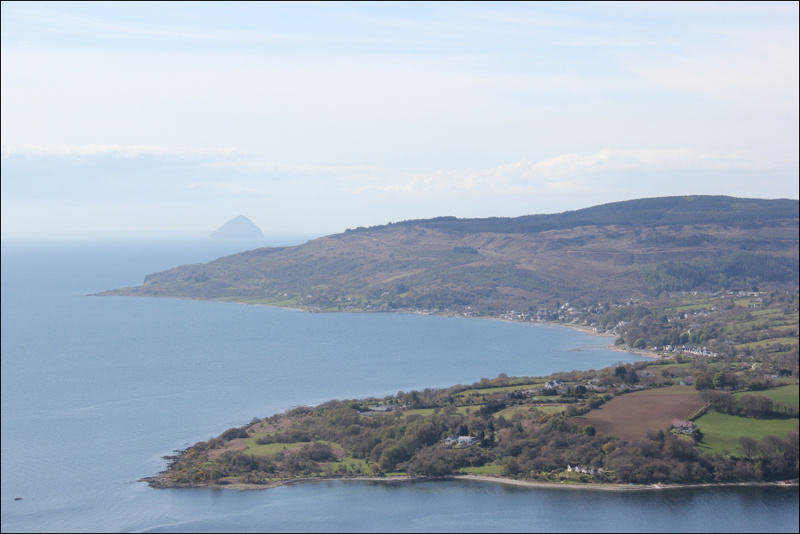 I had forgotten that Ailsa Craig was so close to Arran. 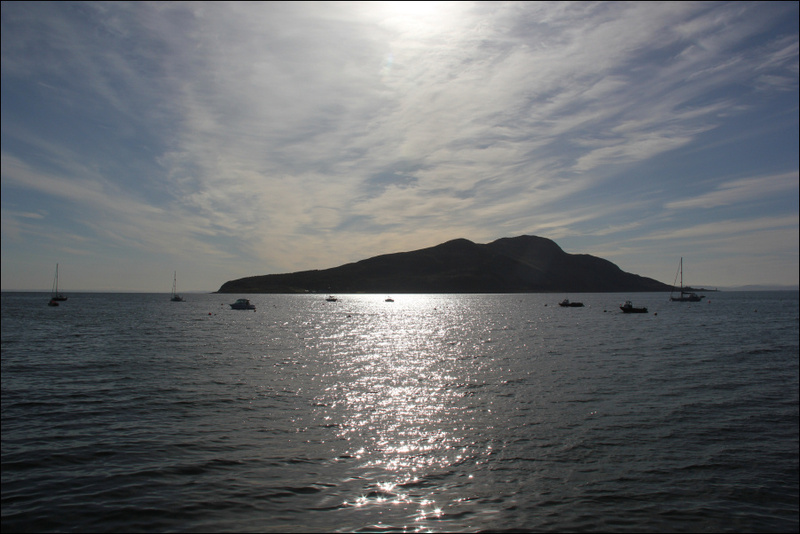 Seeing Ailsa Craig was therefore a pleasant surprise. 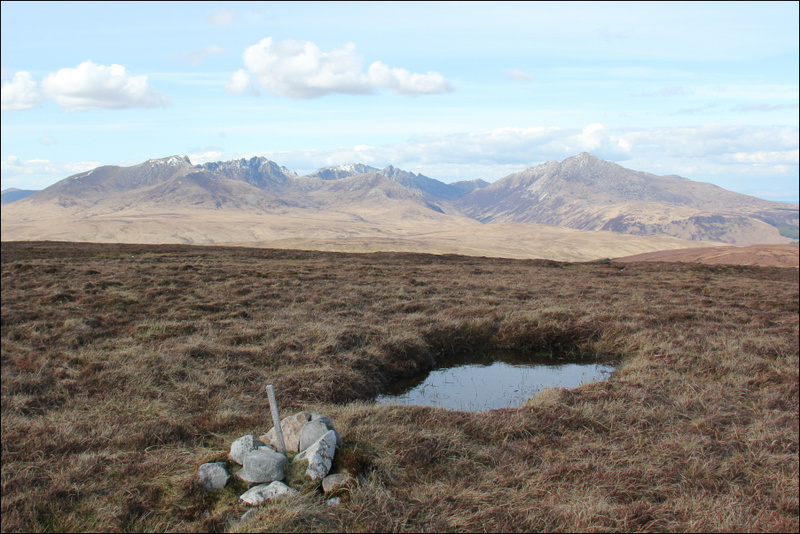 It didn't take long to reach the summit of Mullach Beag from which we continued on towards the summit of Mullach Mor. 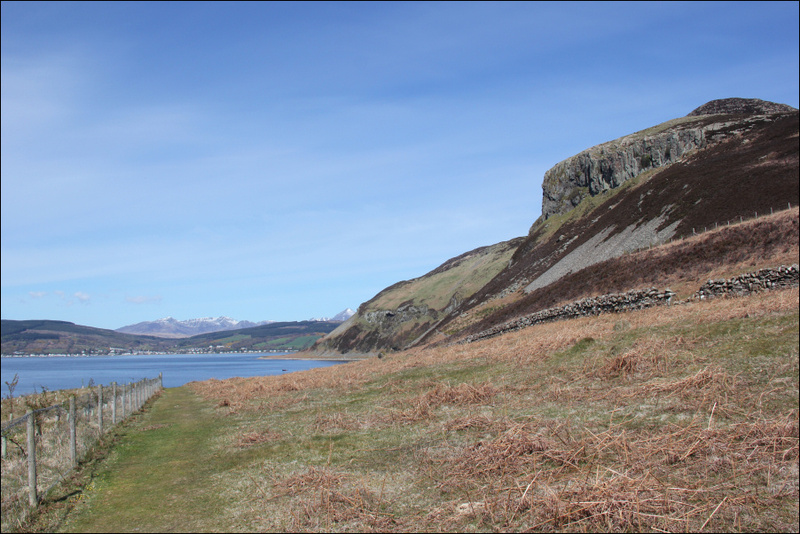 During the ascent of Mullach Mor we passed two residents carrying out path repair work. 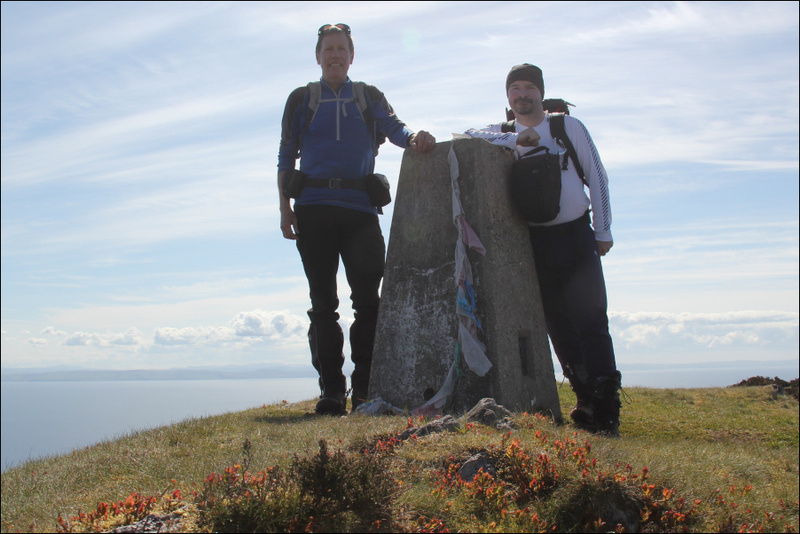 We reached the summit of Mullach Mor in just under one hour of walking. 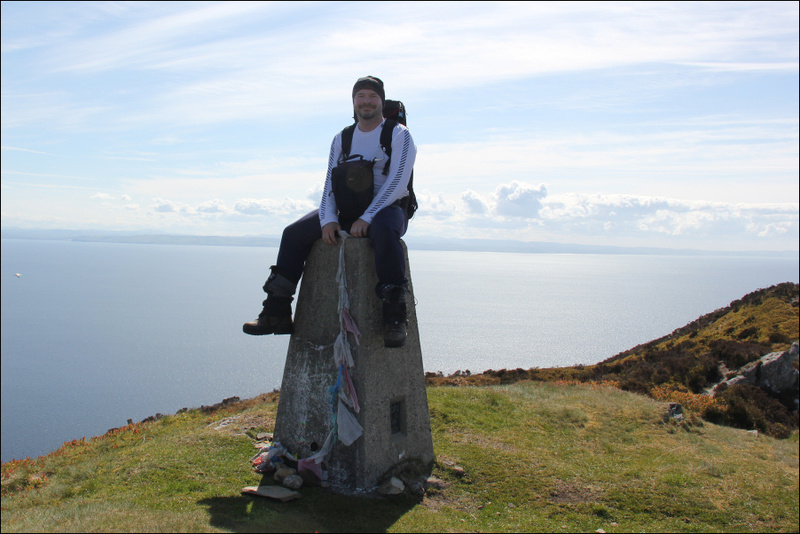 We spent around ten minutes at the summit savouring the views and taking lots of photos. 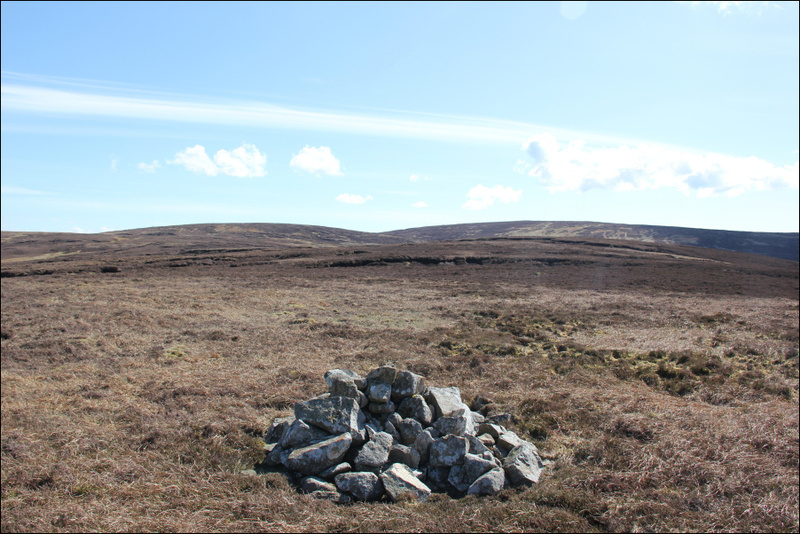 Instead of returning the same way, it made much more sense to traverse the hill in order to see the various sites during the return walk along the coastal path. During the descent there was a sign advising to stick to the path and also some ropes to follow. 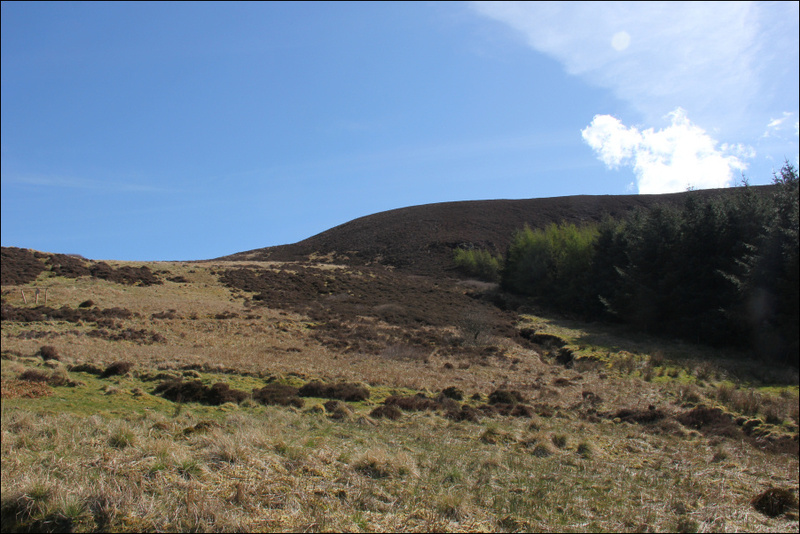 I assume this is to prevent anyone wondering over the very steep side of Creag Liath. 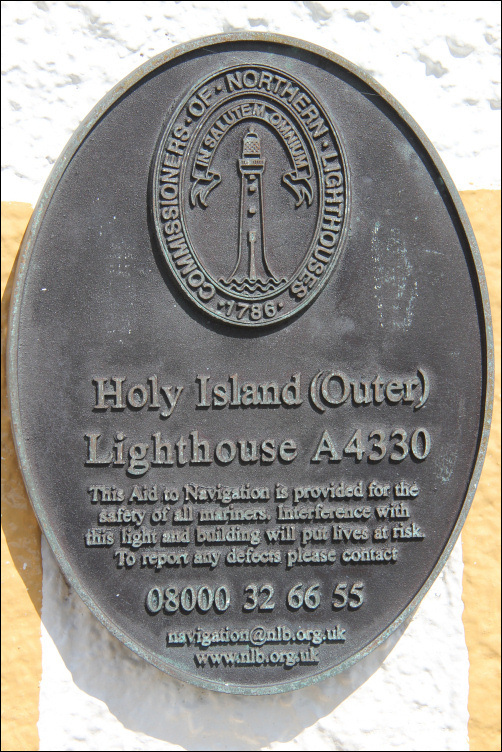 On reaching the base of the hill, we took a short diversion to visit the Holy Island (Outer) lighthouse. 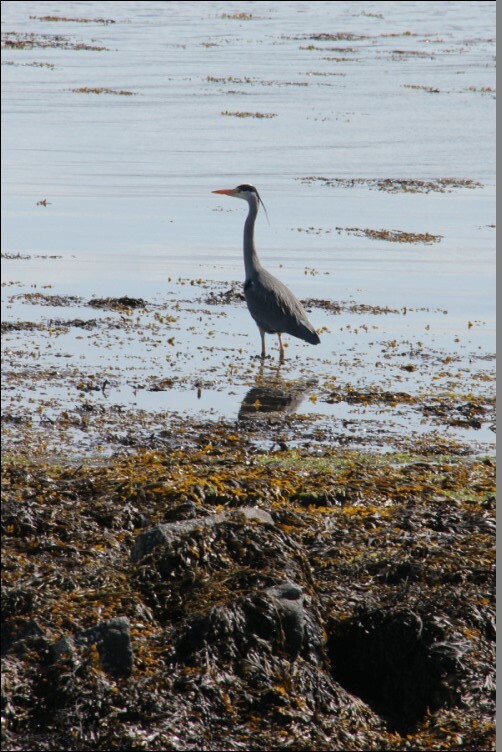 We then followed the coastal track back towards the Tibetan Retreat. 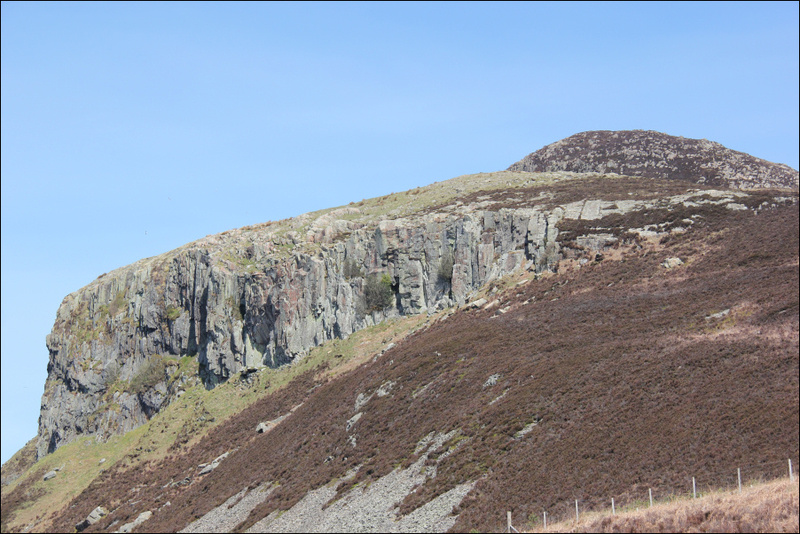 Creag Liath is a very impressive crag. There must be loads of routes on this crag. The crag would appear to be listed on UK Climbing but no routes are listed. 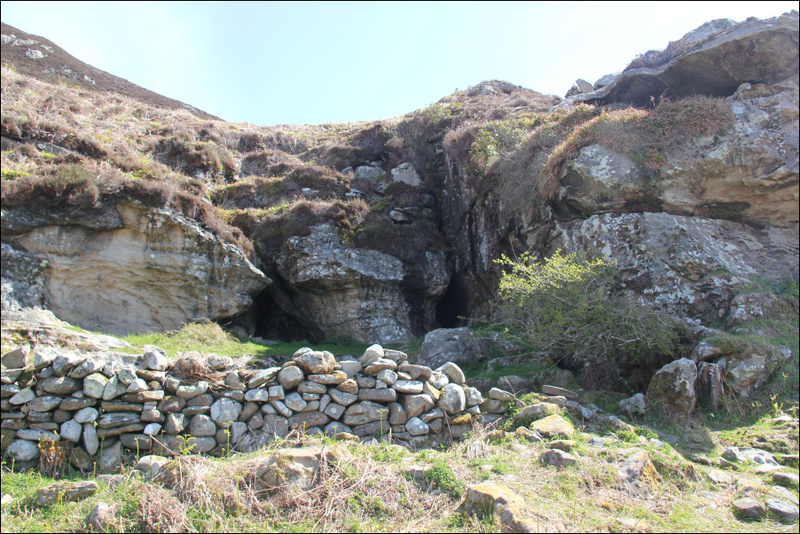 During the walk back along the coastal track, we passed a small cave that I assumed was the one we had been told about. I got my headtorch out and decided to go as far into the cave as possible. 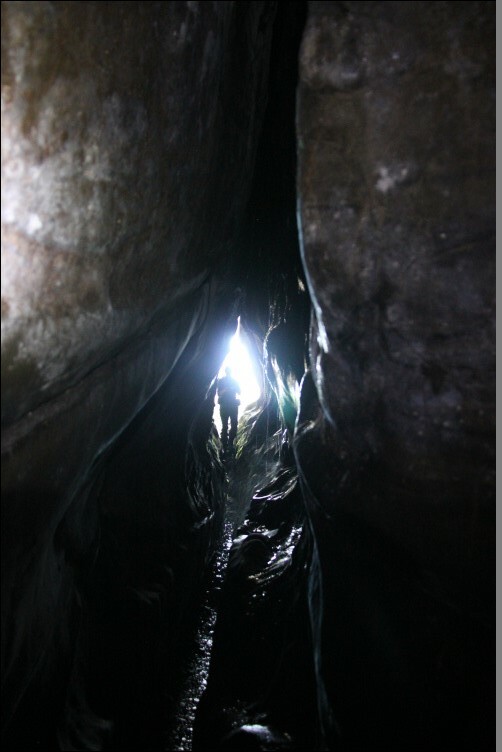 It was fairly narrow and a bit wet inside. Worth a look though. 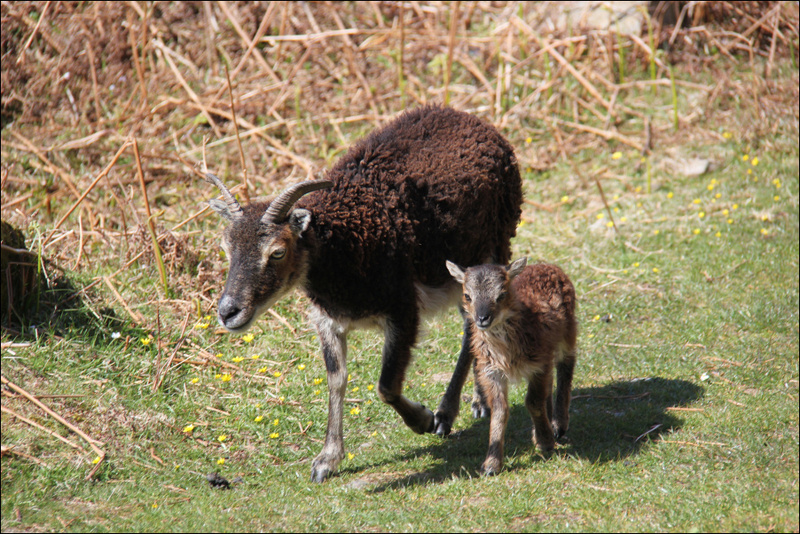 During the walk back we passed several wild goats and numerous Soay Sheep. 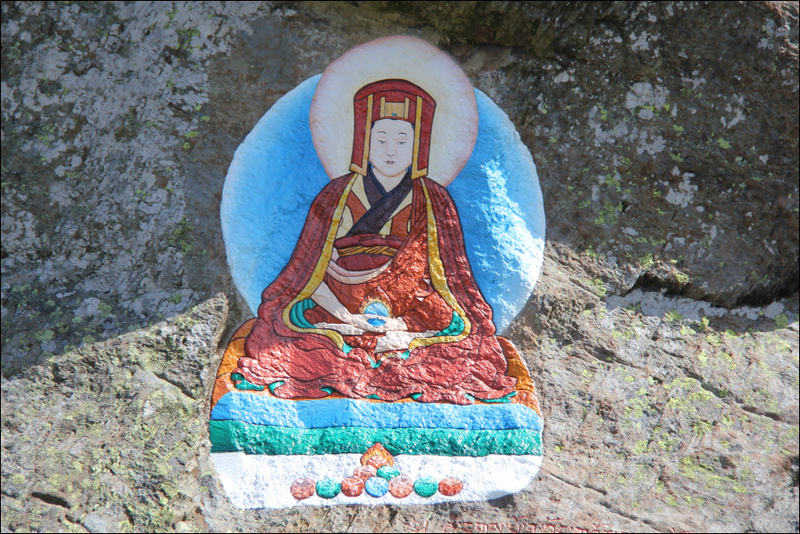 We also passed numerous Buddhist paintings, a few of which follow. 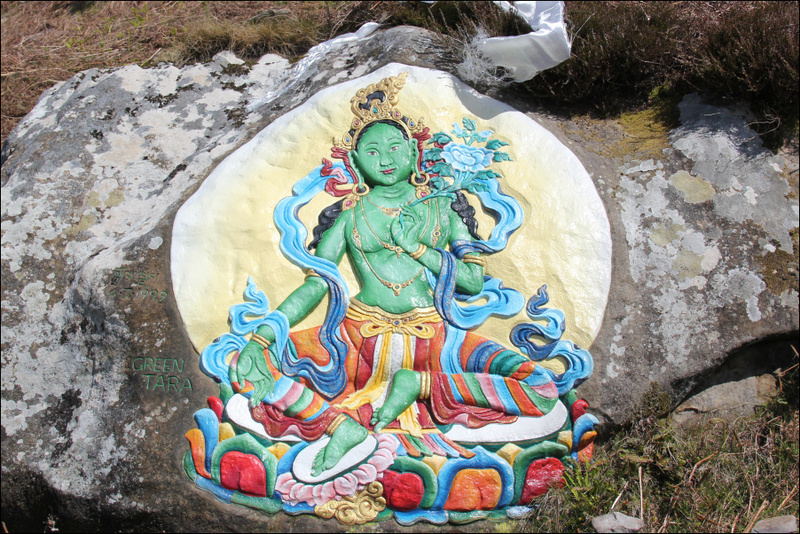 I think the Green Tara painting was the most impressive. The features were scuplted into the rock. A butterfly was sitting on the hand of Green Tara when we arrived but it flew off before I took the photo. We then came to the large cave which was previously occupied by Saint Molaise. 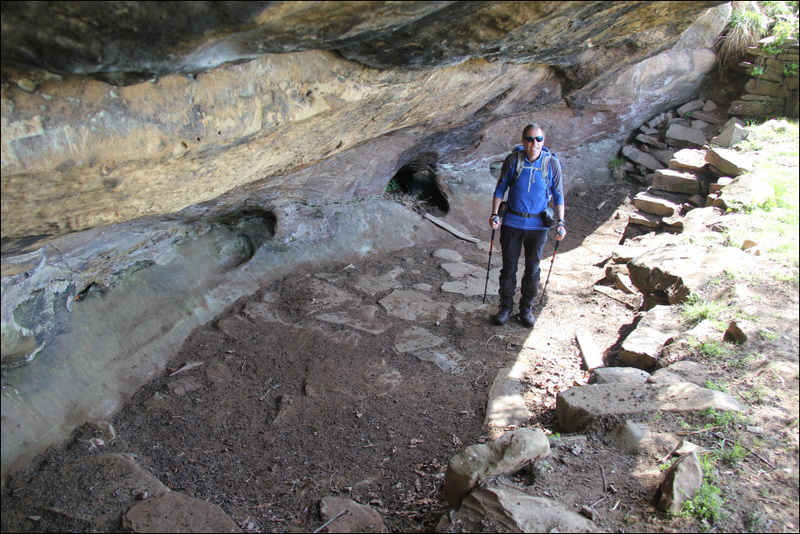 This was the cave that we had been informed about; not the narrow, wet cave! 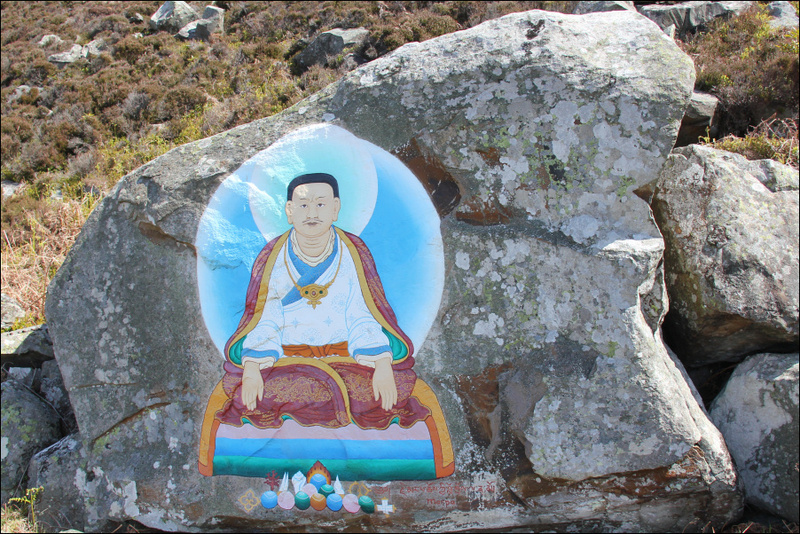 On reaching the Tibetan Retreat we took up the kind offer of tea and biscuits, leaving a donation in return. I also bought some Tibetan prayer flags. While awaiting the ferry, I sat and watched four Turnstones on the shore. 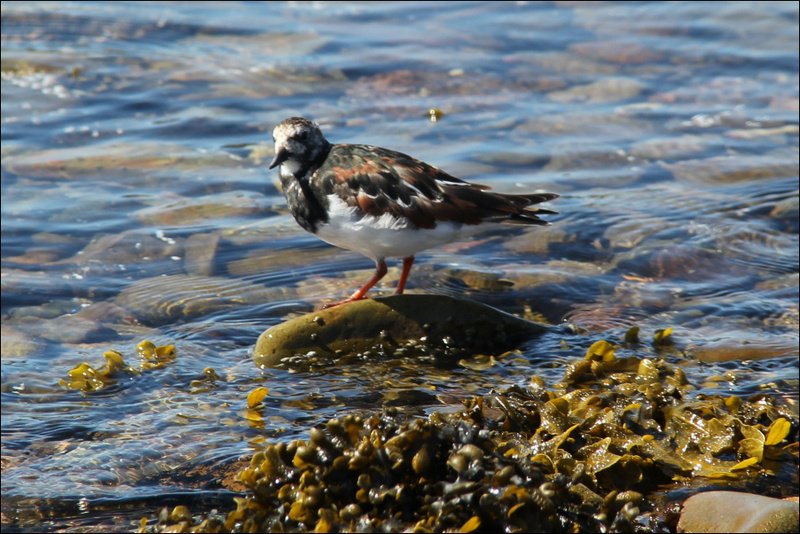 Turnstones have great camouflage. 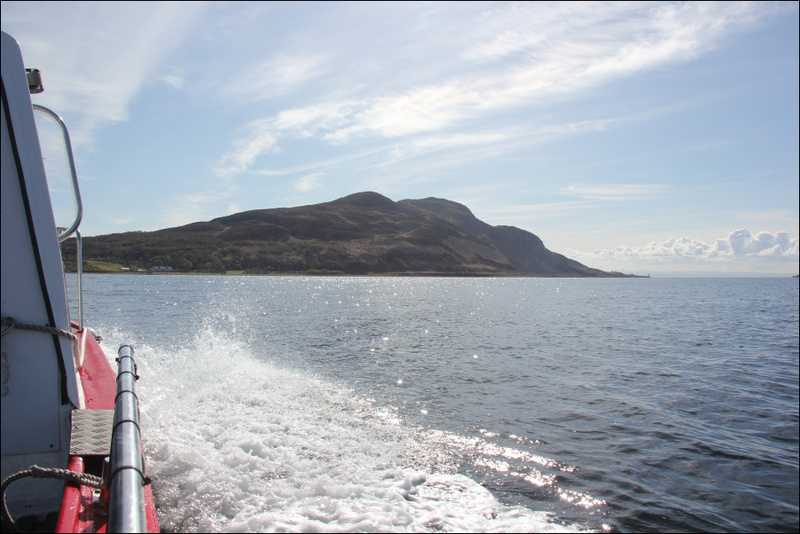 The ferry crossing back to Lamlash was nice too. 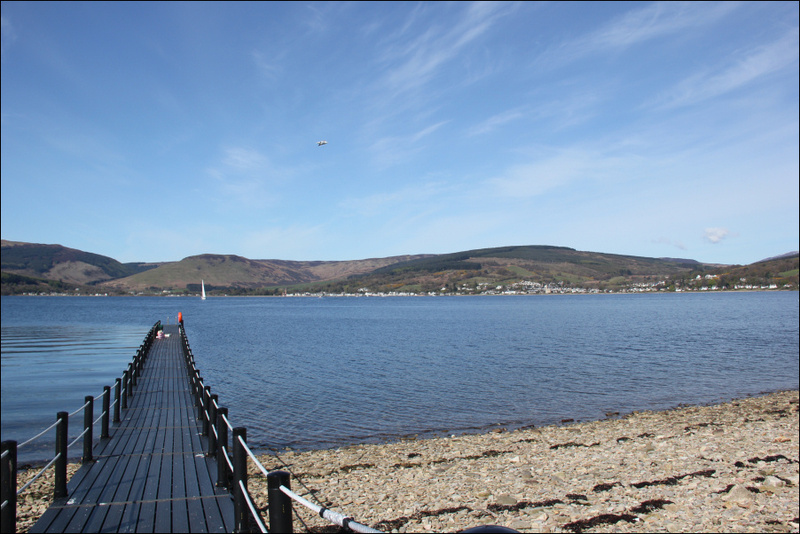 Lamlash bay is the UK's first 'No Take Zone'. It is apparently against the law to take any sealife, using any means, from this area. 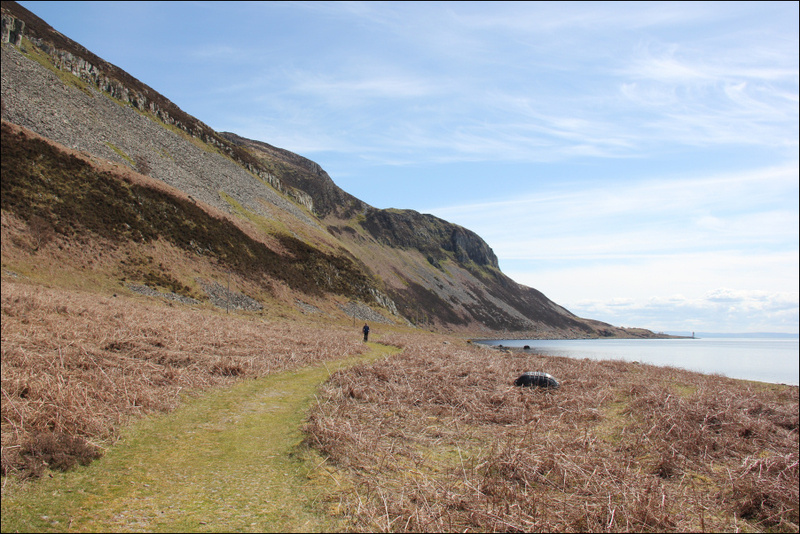 I was very content with my visit to Holy Isle and ascent of Mullach Mor but it was still fairly early, and the weather was good, so we opted to ascend another small hill. 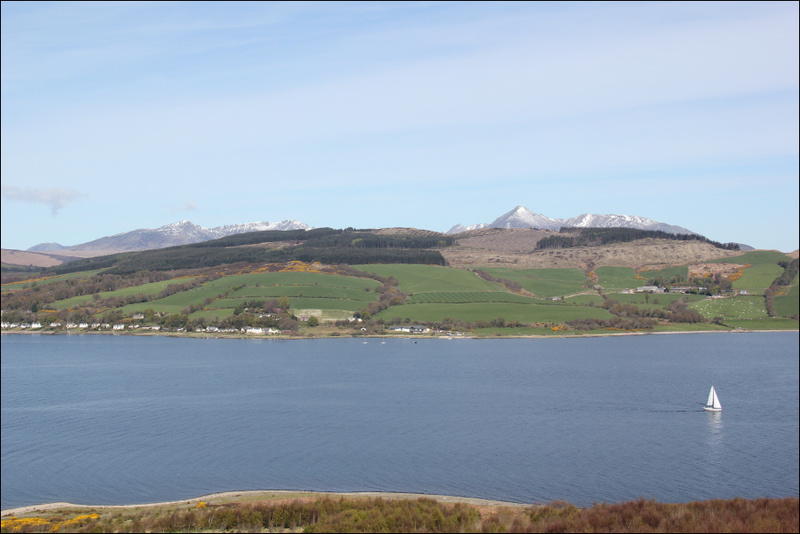 We drove back to Brodick and then took the B880 to the 234m point for an ascent of A'Cruach. 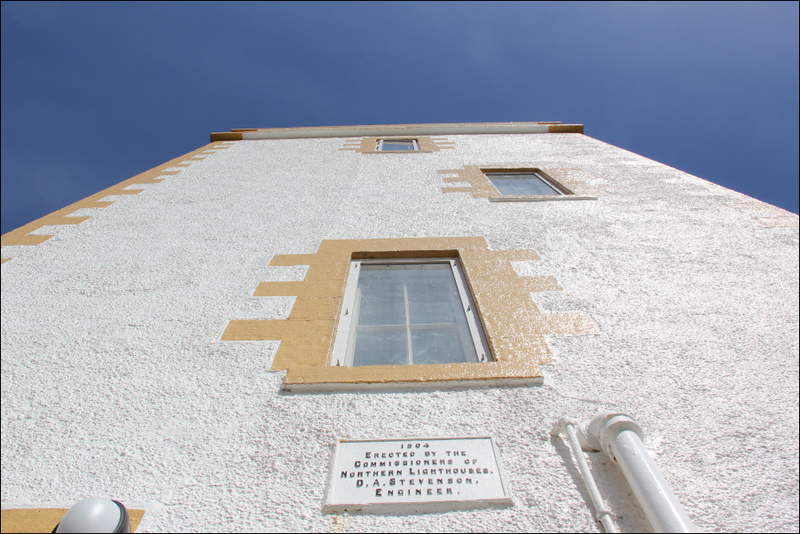 In complete contrast to Mullach Mor, A'Cruach was not good. 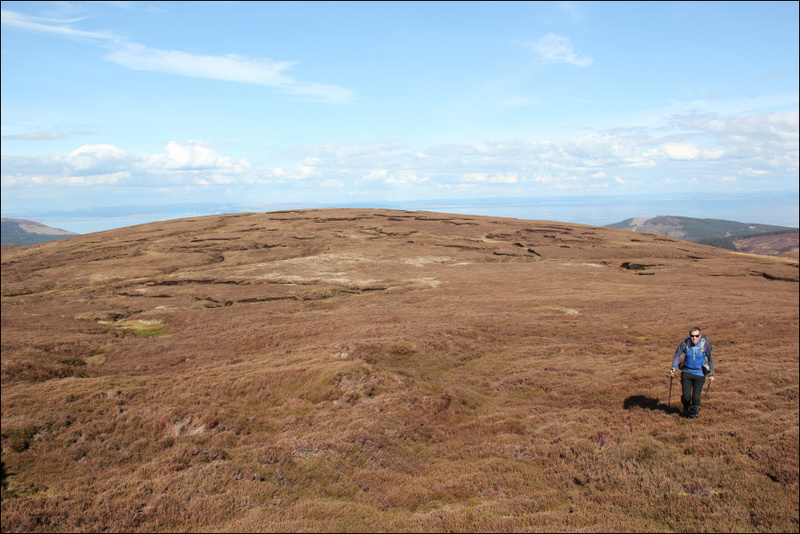 Completely pathless with heather, bog and peat hags the whole way. 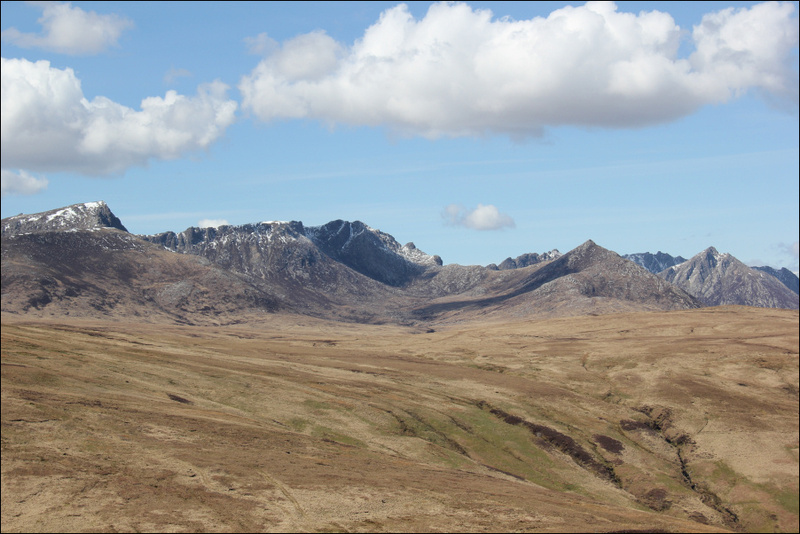 However, A'Cruach's redeeming feature is that it is a fantastic viewpoint for looking across to Beinn Tarsuinn, Cir Mhor, Caisteal Abhail and Goatfell. 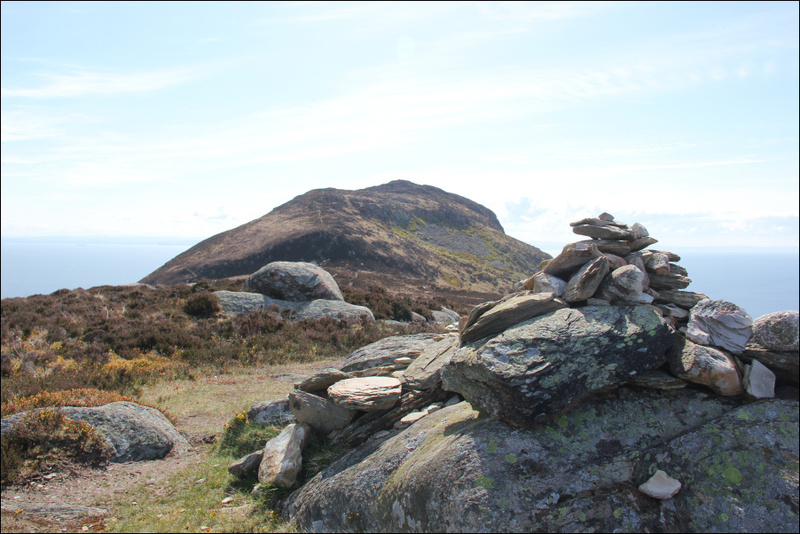 We just headed up towards the top of Cnoc Dubh before continuing on towards A'Cruach. 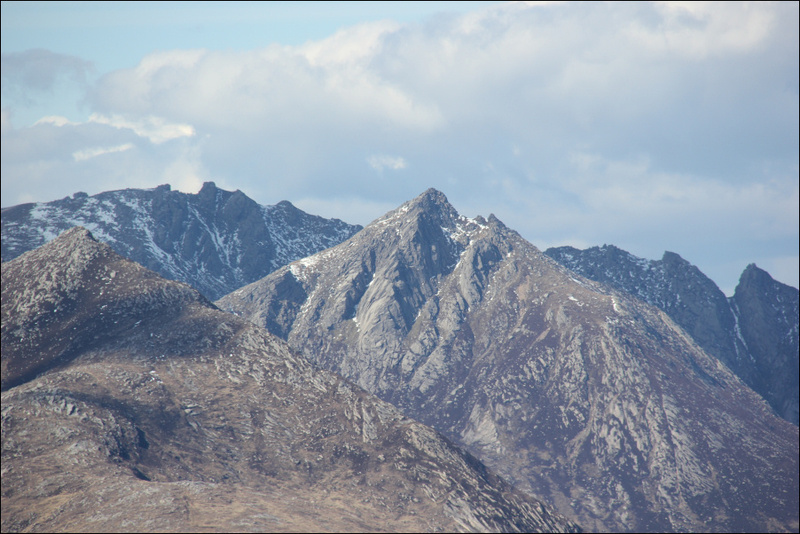 I had thought the Cir Mhor rocks would be covered in snow today . I was very envious of several friends who had decided to take the chance of heading for Cir Mhor and who succesfully ascended Sou'Wester Slabs. 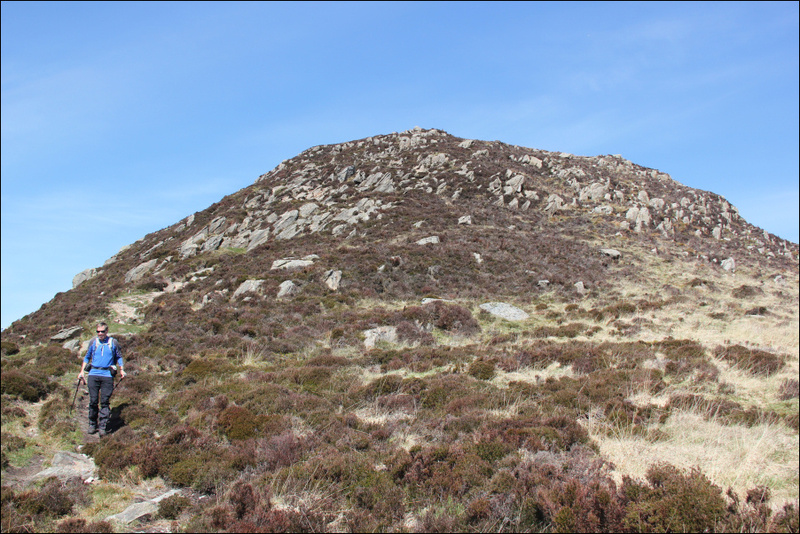 I felt relieved to reach the summit but was not looking forward to returning to the car via the same awful terrain. 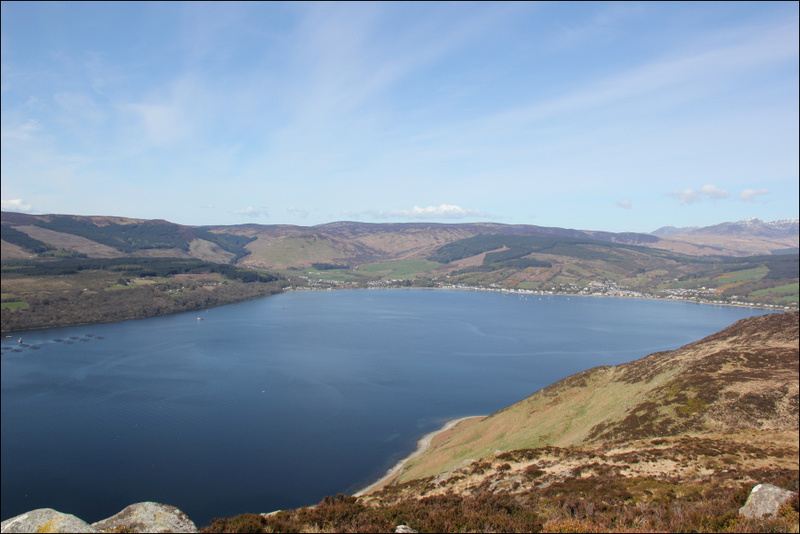 With the exception of the terrain on A'Cruach, this was an outstanding day. 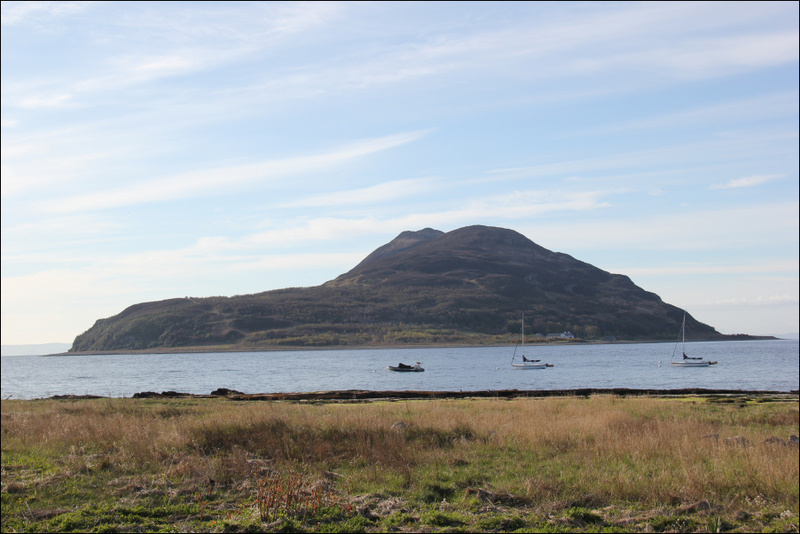 I would highly recommend a visit to Holy Isle if you are ever across visiting Arran. 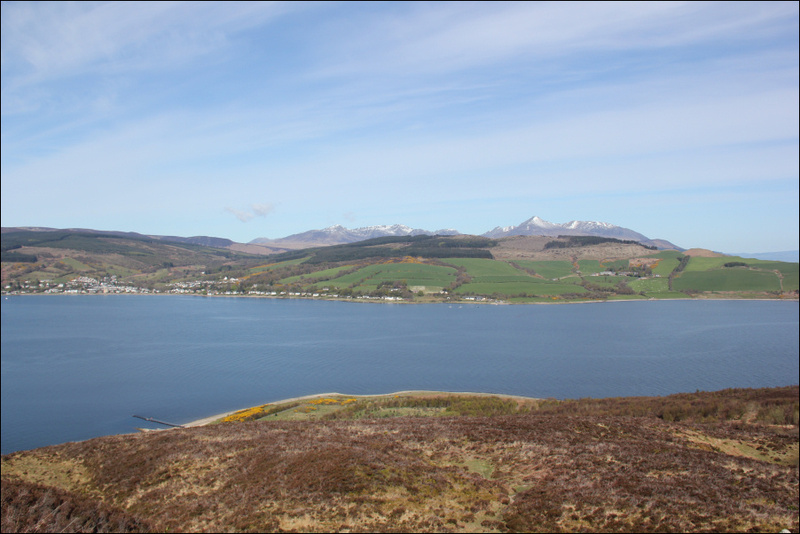 Don't leave it for a poor weather day, as the views from Mullach Mor are great on a good day.